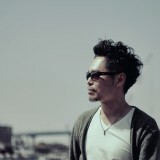 Fukuoka based DJ and Producer, BRISA started his career in 1997 by getting huge influenced over Acid Jazz and House music in the 1990th. He started his own music production in 2004, and have been releasing worldwide such as, UK, US, Germany, France and Italy with positive feedbacks from Jazzanova, Danny Krivit, Joe Claussell, DJ Yellow, Tom Middleton, Giles Peterson, Lefto to just name a few. BRISA then released his debut album ‘Elevation Perception’ from Geneon Entertainment, with cross-genre collaborations with Monday Michiru and Paul Randolph and more. After a huge success on his debut release, he played at one of the biggest Jazz/Crossover festival in Tokyo, ‘Tokyo Crossover Jazz Festival’ in 2012. In 2013, with a string of releases on renowned labels like Jazzy Sport, Reverse, Best Of Records, which of those received great supports from Lefto, Simbad, Kev Beadle, Kyoto Jazz Massive, Toshio Matsuura, Cosmopolyphonic and more. As soon as Rollin' / GIMMELUV released on Bandcamp in May 2014 it reached on Giles Peterson’s BBC Radio6. Followed by that, his latest track ‘Perfect World / Speak To Me’ also received huge supports from Lefto, Eddy Ramich, Mad Mats and Lay-Far. Currently he runs his own party events ‘NXTDOOR’ in Tokyo and ’Rollin’ in Fukuoka, and his on-going music project ‘TIMEWARP’ is coming up soon.